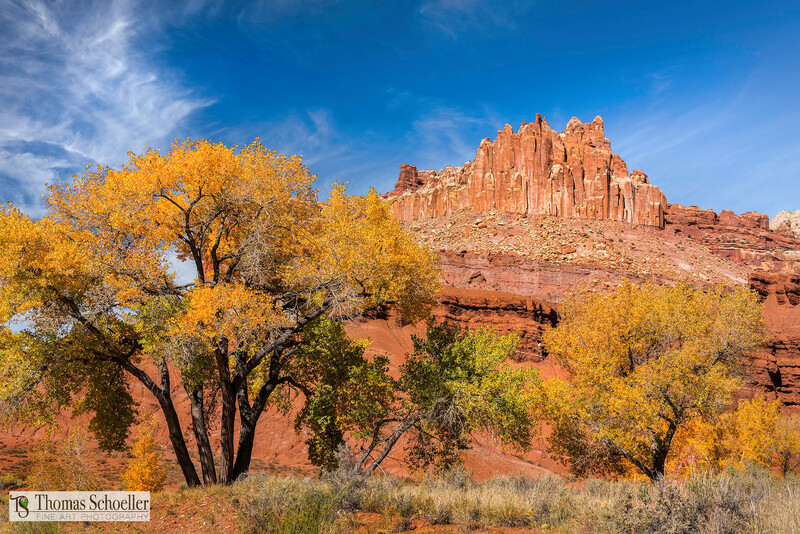 Brilliant autumn cottonwood foliage frames the towering and colorful cliffs of the Castle in Utah's amazing Capitol Reef National Park. One of my favorite scenes within Capitol Reef National Park. I was mesmerized by the sheer power and vibrant palette of color.